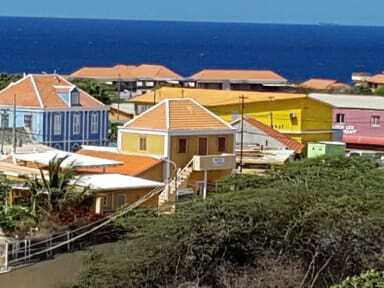 B&B la Creole i Curacao, De nederlandske Antillene: Bestill nå! B&B la Creole, also a Bed & Breakfast is housed in a beautifully restored, authentic building, is located in the lively area Salina. Keeping it low budget for our guests, we also offer a simple but decent breakfast for our rooms. You are welcome to make use of the kitchen facilities and enjoy your meal in the lounge room or outside on the patio or veranda. This is also the place to meet other travellers, to hangout and chill. Free parking and free WiFi are also available. 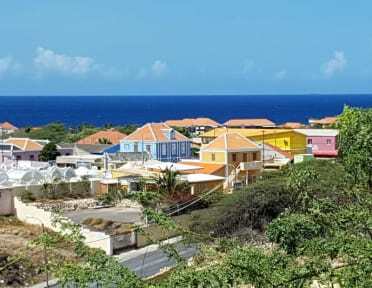 The B&B lies within walking distance, 1 mile, from the city center of Willemstad, Curacao's cultural and historical capital. Supermarkets and bus stops are in the direct vicinity of the property. Famous beaches like Mambo beach and Sea aquarium beach can be reached by (mini)bus in 5 minutes. B&B la Creole is very centrally located, the ideal base to explore the island. The road along the B&B can be noisy sometimes but this is due to our central location. rooms with private bathrooms (hot showers), free secure parking, book exchange and free WiFi. Check in from 14.00 to 21:00 . Smoking is only allowed on the veranda. We charge 5 % surcharge on credit cards. Reception opening times are from 09 AM till 12 PM. We will make an exception for late arrivals, after 9 PM, only with our pick-up service.